Rachael Ray Set of 4 Round Appetizer Plates On Clearance $7 + FREE Store Pick Up (Reg. $18)! 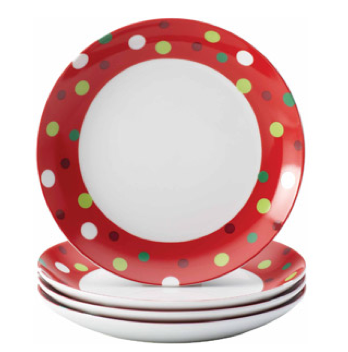 You are here: Home / Great Deals / Rachael Ray Set of 4 Round Appetizer Plates On Clearance $7 + FREE Store Pick Up (Reg. $18)! Here’s a fab deal for your holiday entertaining!! You can currently get this Rachael Ray Set of 4 Round Appetizer Plates On Clearance for $7 + FREE Store Pick Up (Reg. $18) if available in your area!